Hey Tiger is a new chocolate company, aimed at women, that not only aims to satisfy your taste buds but hopes to fix the cocoa industry, writes Wendy Williams in this month’s Spotlight on Social Enterprise. 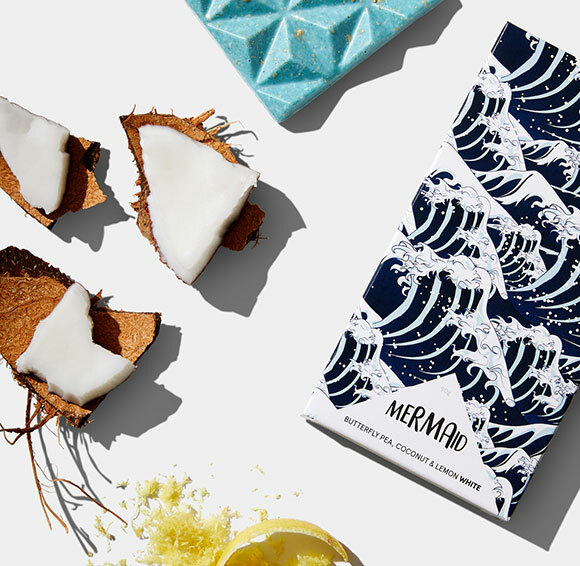 It comes after the co-founder of multi-million dollar design startup Envato, became the proud founder and CEO of Hey Tiger, offering “amazing ethical chocolate, handmade in Melbourne”. Ta’eed tells Pro Bono News it was an “interesting pivot” that started after she found herself on an involuntary tech detox after receiving an eye injury. “I had an eye injury towards the end of 2016 and it meant that I couldn’t look at screens, I couldn’t really have my eyes open and I spent about a month basically in a dark room,” Ta’eed says. “I went from running really, really fast, working really hard on Envato to just this total detox. I couldn’t work, I couldn’t take care of my kids, I couldn’t even watch movies. What Ta’eed thought about during this period was that she wanted to start a social enterprise. Hey Tiger founder Cyan Ta’eed. “I realised that I had been saying and thinking for a long time that I really wanted to work on a social enterprise after Envato. Because I think Envato really takes its social purpose very seriously. But it’s a for-profit company with shareholders and the logical, next step if you wanted to push that impact piece even further, which was something that I’m personally passionate about, was to work within a social enterprise,” she says. With this concept still in the back of her mind Ta’eed became an ambassador for The Hunger Project, a global community of people committed to ending hunger and poverty by pioneering sustainable, grassroots, women-centered strategies and advocating for their widespread adoption in countries throughout the world. The project includes people from cities across Australia, the US and Europe, in partnership with people living in remote villages in India and Bangladesh, and right over to East and West Africa. “I think they’re a really, really incredible organisation with a really holistic program centered around enabling communities to lift themselves out of poverty and make drastic changes to the quality of their lives,” Ta’eed says. It was through The Hunger Project that she learned that Burkina Faso had a major problem with child trafficking out of the country. “People are going in and basically purchasing children from families who are living below the poverty line and taking them over the border to the Ivory Coast and Ghana to work in, amongst other places, cocoa plantations,” Ta’eed says. “Between 60 and 70 per cent of the world’s cocoa comes from those places, depending on who you ask. I realised there were children who were my eldest age, who were being taken from their families because their families were living in poverty, it was often the choice of ‘well at least this older one will get fed then my younger ones can continue to survive a little bit longer’, and them being taken to work on these cocoa plantations where the cocoa farmers themselves are living under the poverty line. It struck Ta’eed that something that gave her “and basically every woman that [she knows]” a huge amount of pleasure and enjoyment was contributing to a lot of injustice and pain and suffering in the world. And so her thoughts turned to chocolate. “I’ve done a little bit of travelling and what I always notice, especially in the US is that they just seem to be a couple of steps ahead in food trends and I thought generally it takes a few years for Australia to get on top of some of the food trends that the US or other parts of the world starts,” she says. “And one of the things that I noticed was there were incredible companies in the US who were focusing on making chocolate that was targeted at women. Ta’eed realised that there was a section of the market that wasn’t being met. 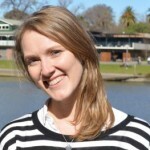 She realised this could be the social enterprise she wanted to start. “I guess I had that sort of period of time during that eye injury where I realised I really wanted to do something new and different. 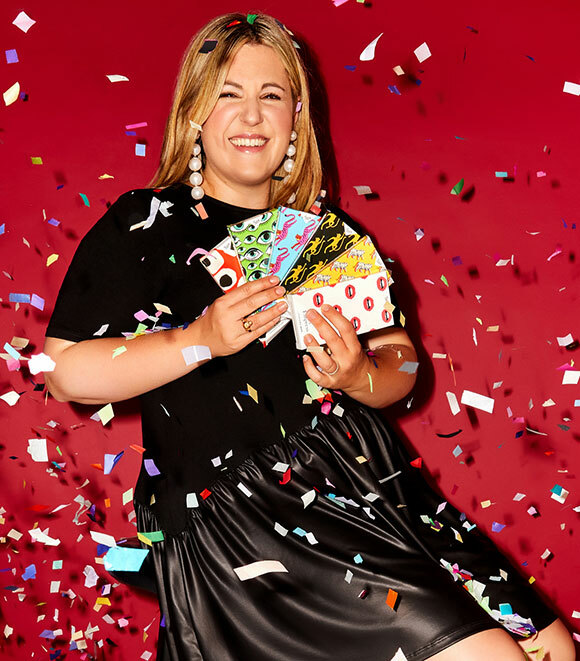 I wanted it to be a social enterprise and then it was like there was all these sort of steps along the way which kept on pointing me in the same direction,” she says. “I kept thinking to myself this is crazy, you can’t open a chocolate company. What are you thinking? But in the end I just felt like there was so much to it and I had gotten such a clear idea of what I wanted it to be, that I decided just to sort of start to dive in and test it. “I started making chocolate in my kitchen with the sort of flavors I thought would really appeal to the demographic that I was going for. And then I just literally tested it in the Envato offices. And so Hey Tiger was born. According to Ta’eed it is “chocolate for women”. There are 22 different flavours to choose from as well as a monthly short run bar, crafted by chocolatiers working alongside patisserie chefs. She says each one is supposed to be experiential. “So everything from sort of the bar itself, to the way it looks, to the packaging, is meant to contribute to this overall kind of celebratory, distinct experience,” explains Ta’eed, whose personal favourite is “Paddington”. More than being delicious, Hey Tiger, is owned by a charitable trust and 50 cents from every bar goes directly to The Hunger Project working in the Ghana cocoa farming belt. Speaking just weeks after launching Ta’eed says she hopes to increase her impact within five years, but for now she is happy to build on her partnership with The Hunger Project. “I got some very good advice from a few people in the social enterprise space, who it turns out unsurprisingly are the nicest people in the world and who are willing to share their advice and wisdom,” Ta’eed says. “But it was, just try and get it profitable, know that your profits are going somewhere that you feel really comfortable, that you feel is a really good place for it to go and then increase your impact. “Right now we are ethically sourcing our cocoa, but we’re not sourcing directly from the community who receive the aid, I’d love to get to a stage where there’s more of a virtuous cycle. I’d love to be doing that within five years, but I think you’ve got to be at a stage where you have some consistency around quantities, around what the expectations are, you need to really know what you’re doing on that side. Ta’eed says there is a lot of great work being done in the cocoa industry at the moment, but there is a long way to go. “Organisations either because they genuinely believe it’s important or because of shareholder pressure are slowly steering the ship in the right direction, and really more actively considering the impact of their purchasing decisions,” she says. “But you know these organisations are very old, they’ve been around for a long time and the bigger the ship, the harder it is to steer. “I definitely think there needs to be more focus on purchasing from co-ops, but all that stuff requires more basic community development in order to work. The co-ops don’t work if there isn’t a base level of education. Once you start to unravel it, it all boils down to the fact that there’s a lack of education, there’s a lack of resources, there’s none of those base things. “It’s very, very difficult to consider how you’re going to improve your business if your children aren’t immunized and there’s no schooling for them. She said there was also the environmental impact piece to consider. “Cocoa farms don’t always have a great environmental impact but if they’re done the right way, they do, there’s a whole education piece there as well,” Ta’eed says. “I’m actually really, really blown away by it because we haven’t done any marketing at all. We thought we’ll just sort of start and see what happens and get a sense of how the markets feel about this organically. But it really seems to be spreading organically,” she says. So far they are achieving what they set out to do. “I think I just thought I want to create a brand that the woman I know would be crazy excited if they got it. If it arrived in the mail for them it would make their day,” Ta’eed says.